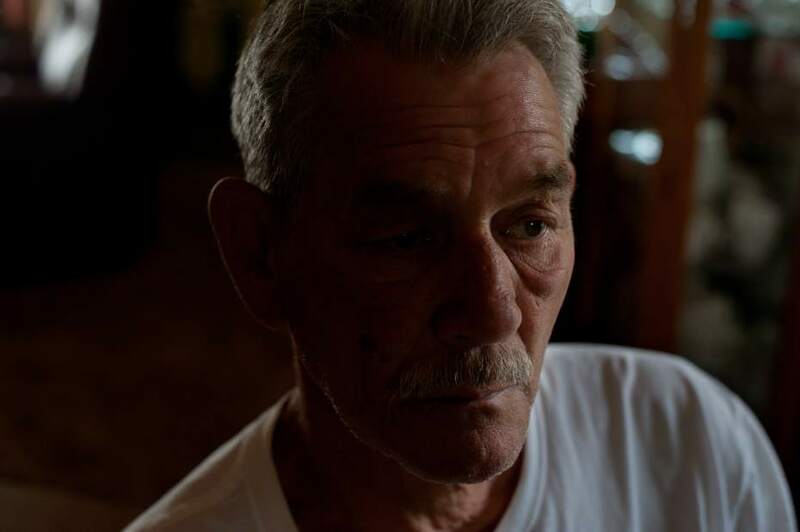 Vietnam veteran Edward Stockley is among those who weren't told that VA doctors believed they had contracted Legionnaires' disease from the hospital's water system. An outbreak at the Veterans Affairs Pittsburgh Healthcare System left six veterans dead and at least 16 sickened during a two-year period. Our investigation found VA officials had known the bacteria was in their water system at least five years before they acknowledged it, discovered veterans who'd never been told they'd been sickened in the hospital, and identified the bacteria as a descendant of a strain that caused an outbreak at the hospital in 1980. Using more than 7,000 pages of internal documents, we exposed efforts to keep the outbreak quiet, and showed discrepancies between what top officials knew and what they told Congress, patients and the public. The Military Reporters & Editors Association called the work "investigative reporting at its best." A VA official, in an internal conversation about our inquiries, responded to a co-worker with a one-word email: "Relentless." The Islamic State's rise coincided with a new era in domestic radicalization. The threshold of battle moved into quiet, private spaces where computer and phone screens illuminate young faces. Likewise, the province of counterterrorism moved from government agents to women and men just outside those young people's doors -- their parents, coaches, and friends. This series was among the first to chronicle the latest evolution of the threat, the response, and the lives of those navigating the ragged edge of innocence. Abdirizak Bihi lost his nephew to terrorist recruiters. Now he works to save others. A gas company worker replaces a steel natural gas pipeline with plastic in Pittsburgh. Accidents involving natural gas distribution lines -- the lines that bring natural gas from utilities to customers -- killed more than 120 people and injured more than 500 others from 2004 through 2013. The accidents caused more than $775 million in damage. This investigation found there are far too few inspectors at the state and federal levels to monitor millions of miles of pipeline across the country, and how the job of inspecting those lines falls on the utilities that operate them. It documented the staggering costs and interminable timelines facing gas line operators as they work to replace cast iron and bare, unprotected steel pipes, some of which date to the turn of the last century. And it showed how utilities and regulators use worries about attacks on vital infrastructure to hide the locations of known natural gas leaks in America's neighborhoods.